A pre-order fund is now open, for participating with fiat currency via bank transfer prior to the launch date of the Token Sale on April 6, 2017. LUXEMBOURG – April 05, 2017 — Humaniq (//humaniq.co/), the Ethereum-based blockchain banking app offering financial inclusion solutions for the unbanked, today announced plans for its upcoming public crowdsale, which will begin April 6, 2017 and continue through April 26, 2017. Funds raised during the Token Sale will power Humaniq’s mission to bring its mobile finance services to the 2 million unbanked people, through the Humaniq app. The core, open source technology will also act as a modular framework for third-party service providers such as insurance companies, p2p lenders, and data security firms. Token Sale participants will receive an added bonus of 49.9 percent for the first 48 hours, a 25 percent bonus between April 8–14, and 12.5 percent during the final bonus period from April 15-21. The Humaniq solution not only provides financial services for the mobile and unbanked, but it will also allow for Token Sale participants to invest – at preferred rates – in selected future startups with winning ideas and solutions to build third party products on the open source stack via a sister corporation. One of the most innovative features planned for the project will include an ‘earn’ tab for the app where users can access digital work similar to what Amazon Mechanical Turk offers, which is a crowdsourcing mobile marketplace enabling individuals to coordinate the use of human intelligence to perform tasks that computers are currently unable to do. Its innovative biometric authentication capability eliminates the need for traditional methods of ID and security, replacing passports and signatures, and enabling distribution and the trading of digital assets via Humaniq’s cryptocurrency, HMQ. Humaniq is also committed to expanding the next generation of blockchain innovation. Chief Marketing Officer Richard Kastelein and Technical Advisor Tawanda Kembo will serve as expert judges for this year’s 2017 Blockchain Oscars in March. The Humaniq concept and mission are detailed in the company’s white paper and use cases. For more information and to participate in the upcoming crowdsale, please visit: //humaniq.co/. Humaniq is an Ethereum-based blockchain banking app building the next generation model for financial services. 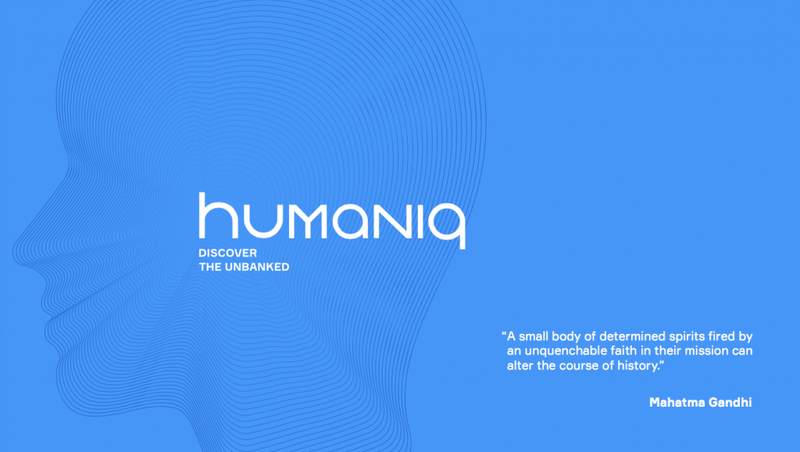 Launched in 2016, Humaniq aims to provide mobile finance to the 2 billion 2 billion unbanked population through its mobile app that uses biometric authentication to replace traditional methods of ID and security. Humaniq’s open source stack and API will be available for startups and other businesses to build services on its core technology, making it easy to adapt their service and plug it into Humaniq’s network to reach a huge, untapped audience. For more information, visit //humaniq.co/.